We had a call come in from a customer who was getting very poor image quality and extremely dark photos from their HiTi Digital Passport Photo System. So it was time to go into an analytical mindset to go through all the settings and positioning of the camera, subject and background – essentially a process of elimination. I asked if the pictures looked dark when viewing the on the camera and they answered yes – okay, the problem starts in what the camera captures. And is most likely not the printer. We made sure that the camera was set to the auto ‘Scene Recognition’ mode and that it was set to ‘Forced Flash’ (flash always fires when taking a picture). Everything checked out on the camera settings and was confident the next step would probably fix the issue. I asked, “I bet you’re shooting your pictures about 10 feet from the person and the backdrop, aren’t you?” The answer was, “Yes, maybe more like 10 to 12 feet.” That was the “A-HA!” moment for sure. I asked them to try taking a photo about 3-4 feet from the subject and, sure enough, the photo looked great in the camera and printed out perfectly. So there’s this week’s helpful tip. 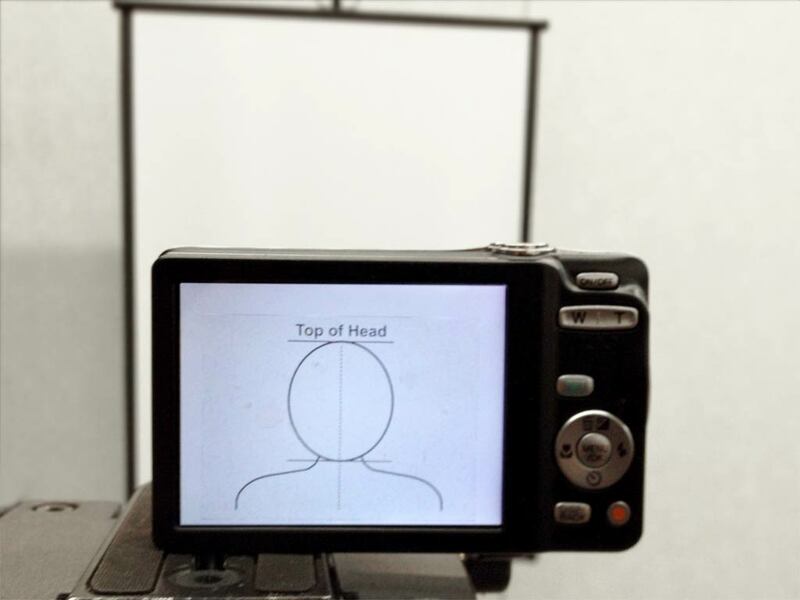 Always position your passport photo camera no more than 4 feet from the person your are photographing. Any farther and the built-in flash struggles to light them enough, plus having to zoom way in degrades the image quality. Do you need any help with taking passport photos? Post your questions in the comments below – I’d love to help. ← Sooper Rounder Can Round The Corners Of Aluminum!